Manpower is the backbone of any industry or firm that is operating out there in the economy. In fact, the engine of any economy is driven by the manpower that works under various sectors of that economy. From unskilled operations to skilled and technical functions, all types of activities are performed by manpower that is recruited for that purpose. Hence, it can be said in a nutshell that without the support of manpower the economy comes to a standstill. Taking into consideration the importance of manpower its necessary that proper management of the workforce is done so, that optimum level of work efficiency is achieved from their side. Since it’s not possible for the employers to look and manage the needs of employers working in different departments some coordinating or designated authority is the need. Human Resource (HR) manager provide the support for the effective and efficient management of the manpower. They act as first amongst the equal in terms of manpower employed and manage all the activities that concern the employed workforce. From interview to orientation to salary management all sets of activities fall under the domain of HR manager. Hence, in that sense, it can be said that HR is that captain of the ship that houses all the employees. Now, to get an effective, qualified and skilled HR for your firm becomes necessary as it has a direct impact on your business via the management of your workforce. To get the right person on board, there is always an option to outsource the hiring services from dedicated manpower recruitment agencies/consultancies. Alliance recruitment agency is a committed manpower recruitment service provider that has delivered to the needs of its clients in India and abroad. We have extensive knowledge and experience of recruiting candidates as per the business needs of the client. One can expect time-bound and effective solution delivery form our side. HR placement consultants or HR placement agencies are professional recruitment agencies that are known to deliver effective manpower solutions as per the need of the client. To recruit HR manager, HR executives, Assistant HR/Junior HR, etc. ; thorough assessment and analysis are to be conducted for which professional placement consultancies are commonly hired to lend their expertise. Alliance recruitment agency offers its clients a chance to avail all these and many more benefits by hiring our services. We are always there to help our clients get the best staffing solutions for their business needs. Alliance recruitment agency has been offering recruitment/staffing solutions to its clients located in countries like France, USA, UK, Russia, Spain, etc. Broad recruitment network and professional recruiters make us bring quality solutions on the table. 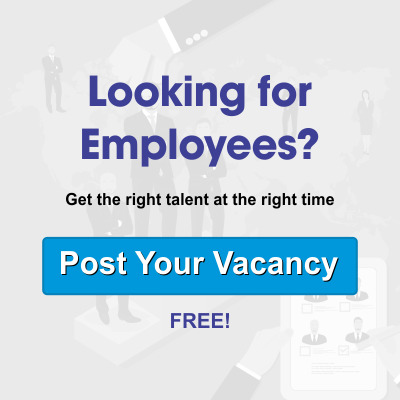 Candidates looking for job opportunities in the HR profile and firms looking to hire HR manpower can visit our website https://www.alliancerecruitmentagency.com and register their inquiry. We would feel privileged to serve you.